Happiest sheep in the world? 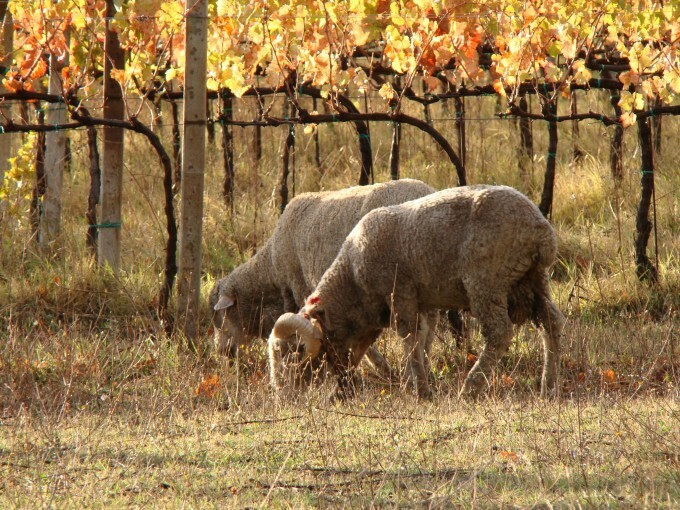 Sardegna may be home to some of the happiest sheep in the world, thoughtfully grazing overlooking some of the most spectacular coastline in the world. 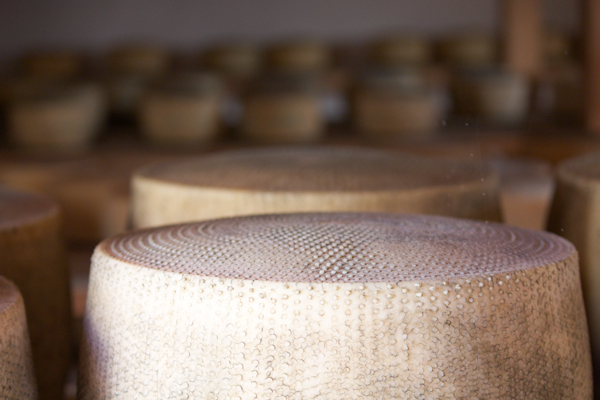 This is reflected in the cheese. 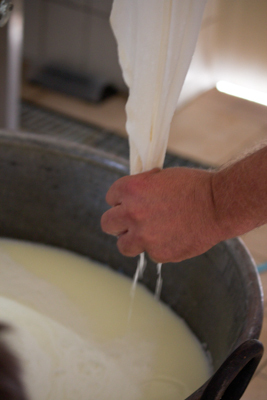 The morning we went to the farm of Sa Mandra in Alghero, they were churning the ewe’s milk to make ricotta. 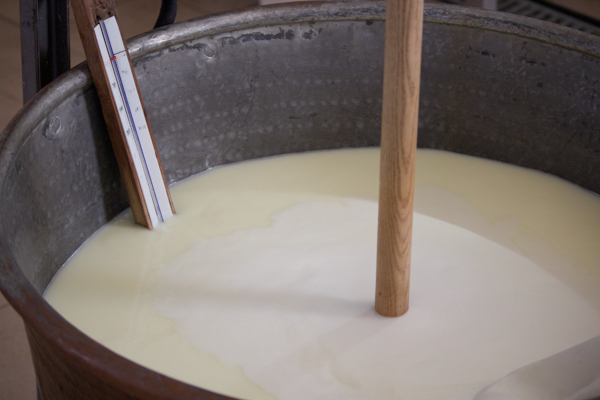 First they put the ewe’s milk into a large pot with a wooden stick in the centre, which turns while the pot is heated to 32 to 35°C. 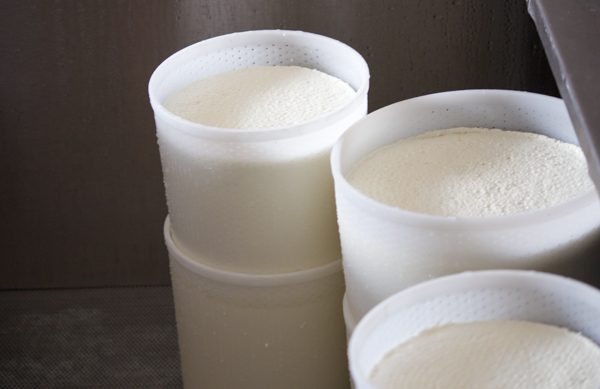 Lamb rennet is used to facilitate the coagulation of the milk fats. The mixture is then left to relax and allow all the milk solids to separate. 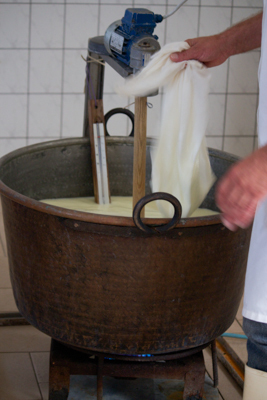 A cheesecloth bag is used to collect the curd. 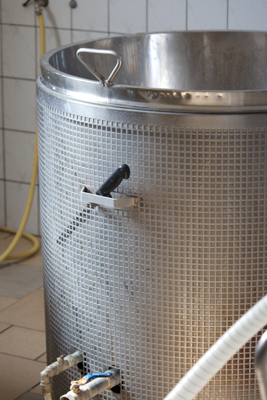 The mixture is then filtered and added to perforated moulds to allow excess liquid to drain. 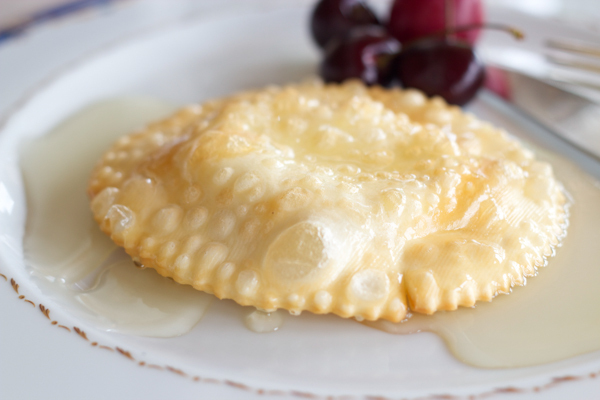 This is ricotta and is delicious simply drizzled with honey, wrapped in pastry, deep-fried and drizzled with honey (seadas) or baked into tarts (casadinas/ricottelle). 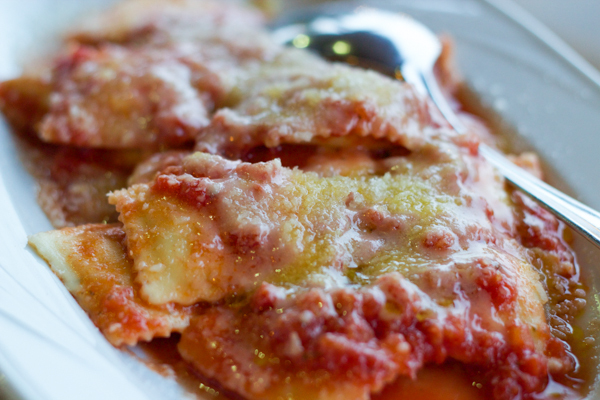 It is also used in savoury dishes such as to stuff ravioli. 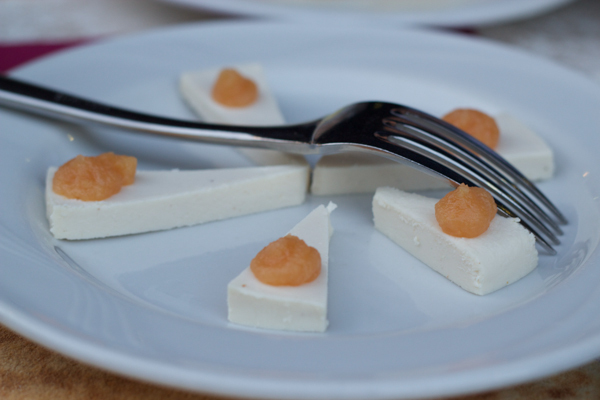 Ricotta mustia is made by making ricotta, weighing it down, then salting it and smoking it with aromatic plants. 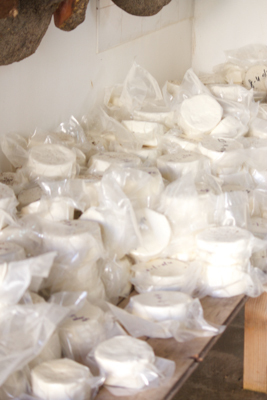 The ricotta mustia is then left to air dry for 2 days before serving. 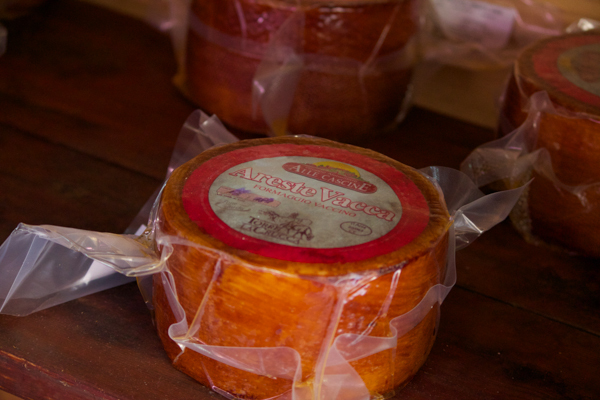 It is a fresh cheese with a slightly chalky texture. It can last up to two months after production. It paired nicely with apricot preserves. 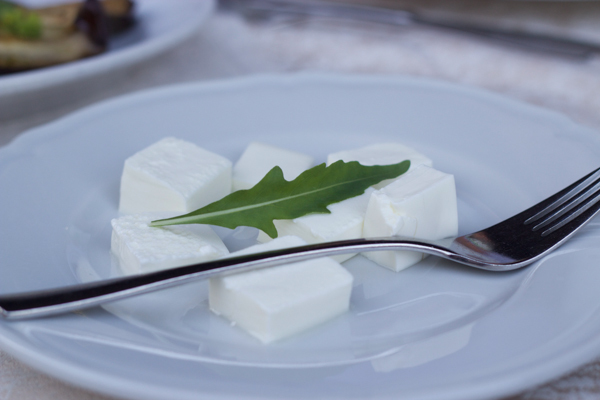 They had also recently made sa vuhre, which has a similar texture to Greek yoghurt but is cut into cubes and used like butter. It was sitting in a tub of whey waiting to be drained and served with bread. Behind the production area they had a room full of pecorinos of different sizes, each size indicating the amount of time it would be aged. 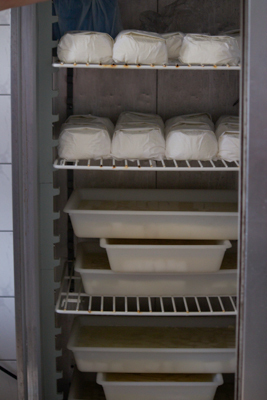 Some were in a brine maturing and the shelves were lined with the cheeses organized by size/age. 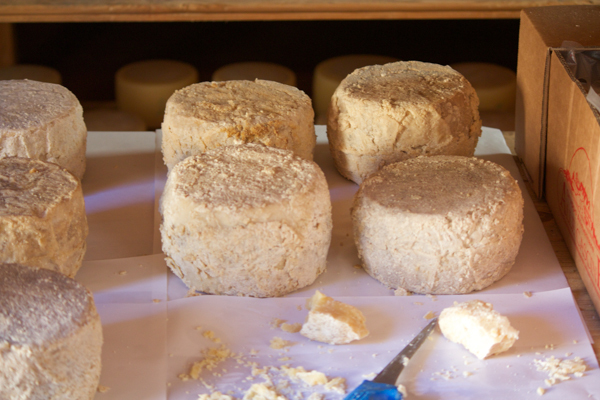 The most mature was very crumbly and had a grainy texture. 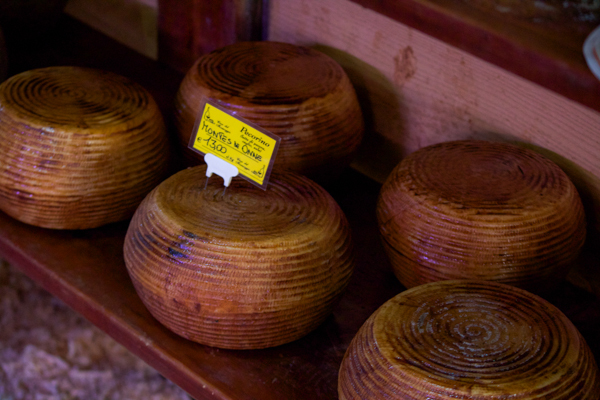 These would be served as a table cheese or grated over pasta or vegetables. 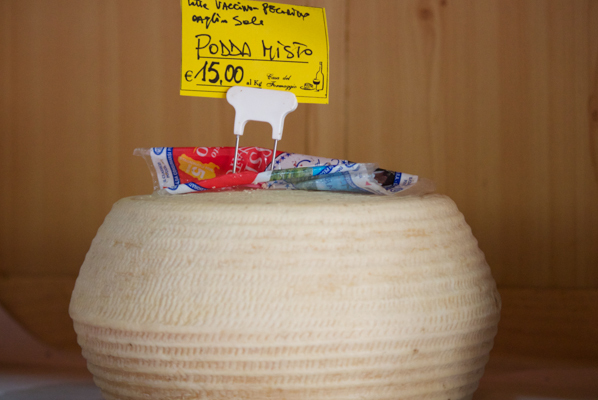 The pecorino is made by heating the ewe’s milk as in when making ricotta but the curd is broken up into finer pieces. It is moulded and weighed down. When it is firm, it is left to rest for a day and then is added to brine. 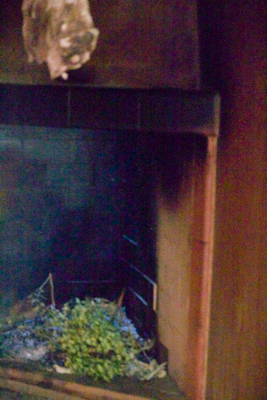 Afterwards, it may be smoked. 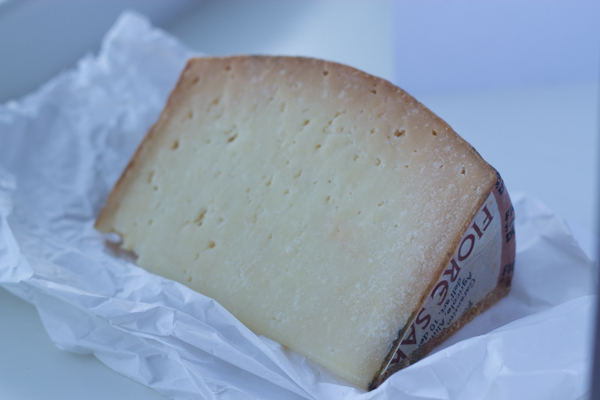 The pecorino is left to mature and once it reaches the appropriate stage, the outside of the cheese may be rubbed with olive oil, vinegar and salt. 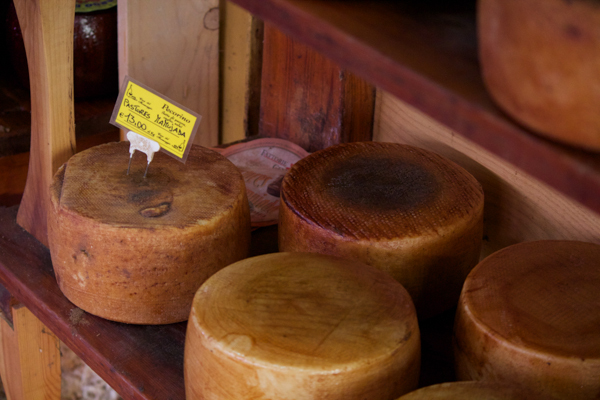 Later that day, I passed by a cheese shop in Alghero, Casa di Formaggi (House of Cheese), and decided to see what they had. 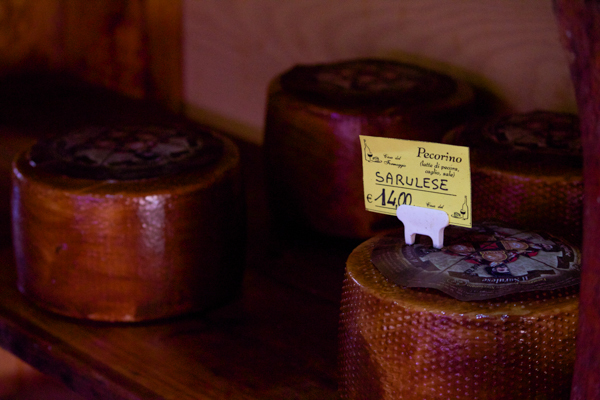 They had a huge range of mostly pecorinos, including the star pecorino of Sardegna, Fiore Sardo, a smoked pecorino. 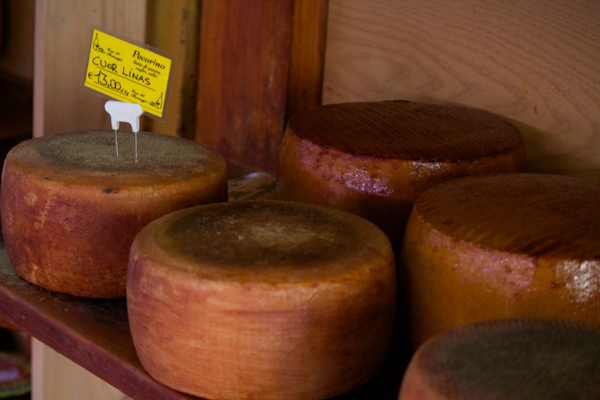 Aside from pecorinos I also found Poddamista, a mixed ewe’s and cow’s milk cheese), Areste Vacca (a cow’s milk cheese) and a goat cheese, all Sardinian. 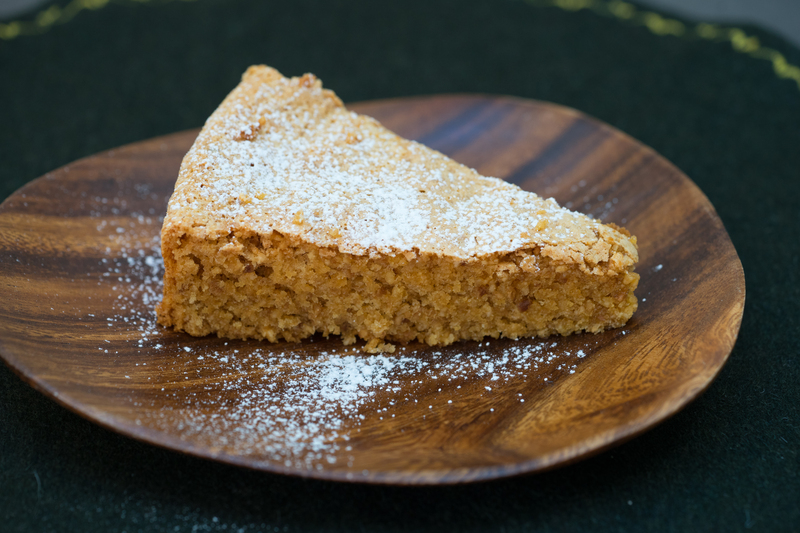 Seadas are a traditional Sardinian dessert, particularly in the pastoral communities in Barbagia, Ogliastra, Logudoro and Gallura. 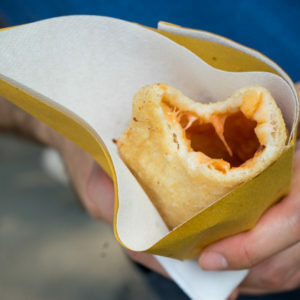 Seadas were traditionally prepared around Easter or Christmas time by the wives when their shepherd husbands would return and the fresh cheese would be made. They used to be served as a main course. 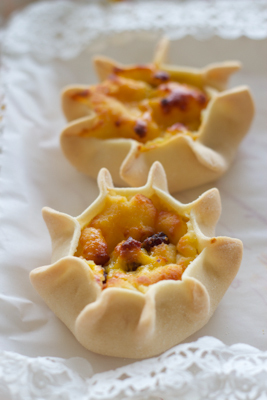 They are a simply delicious combination of the slightly acidic oozing fresh cheese, the crispy pastry, the sweet and slightly bitter honey and the citrus flavour to add some necessary acidity. 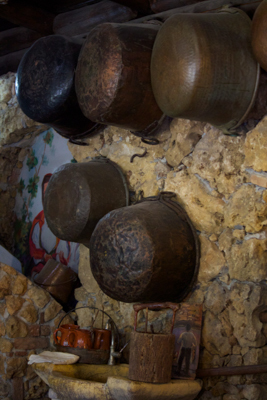 It is served in Sardegna with chestnut honey or strawberry tree (corbezzolo) honey and a dessert wine (or white or red wine or a sherry-like wine). 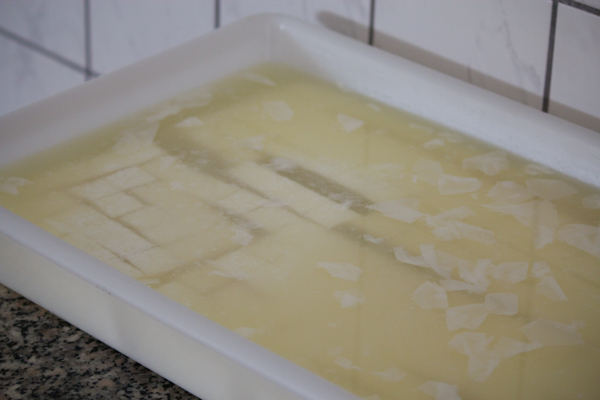 On the day the seadas will be served, mix together the lard, flour and salt. Add a spoonful of water at a time, mixing the dough until it forms a ball. Knead the dough until it is elastic and smooth, about 15 to 20 minutes. Wrap the dough in cling film and keep in the refrigerator for 30 minutes. 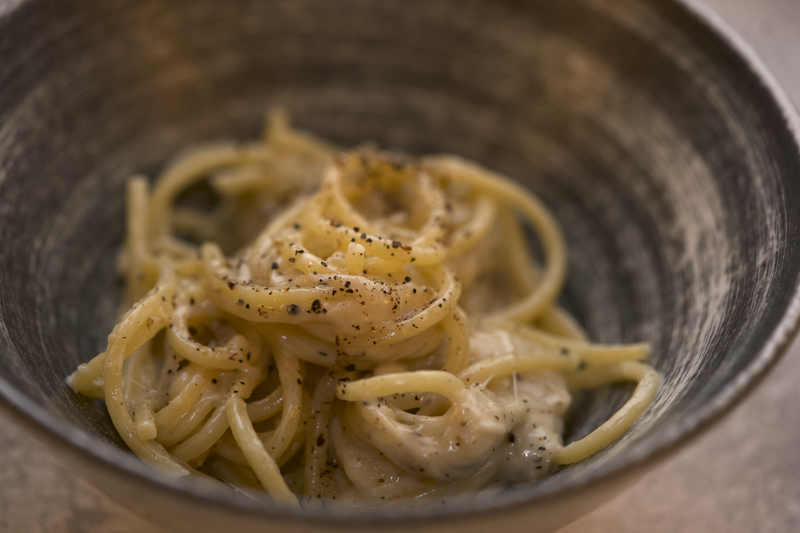 Shred the cheese and mix well with 10 mls of water and 15 mls of semolina flour. Roll the dough to 2 mm thickness. Cut 12 discs of about 12 cm diameter. Place 6 of the discs on a floured tea towel. Add the zest to the cheese and mix well. Add the cheese mixture to the middle of each of the 6 discs, ensuring there is a 1 cm around the outside edge that are not covered. Brush the edge with the egg white to ensure the pastry does not open. Place the remaining pastry discs over top and gently press out any air. Use the prongs of a fork to press the edges closed. 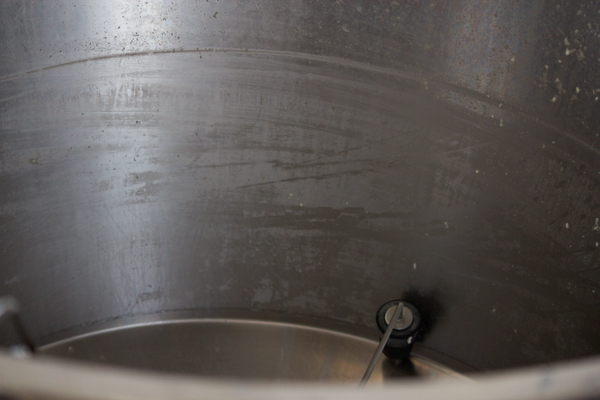 Add the oil to a wide but short saucepan to 5 cm depth or more. Heat the oil. Add a tiny piece of the leftover pastry to the oil and if it begins to fry immediately the oil is ready. 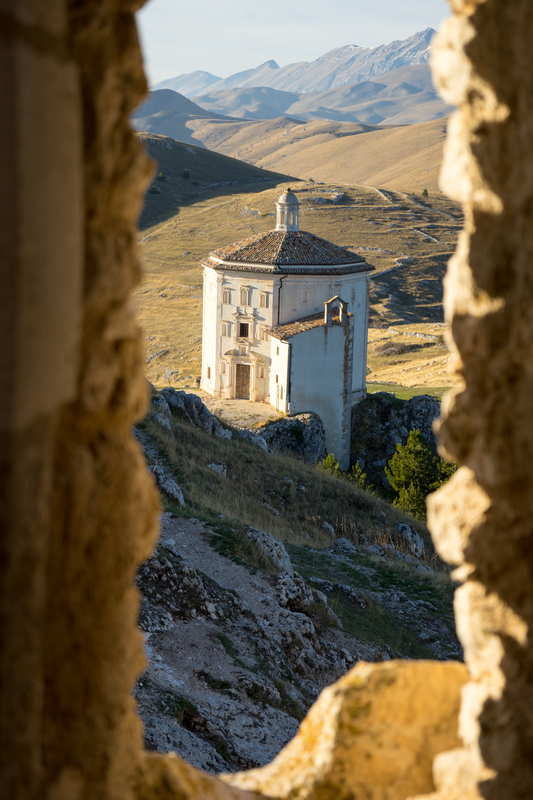 If it does not, remove and try again in a few minutes. Fry the seadas a few at a time so as not overcrowd the pan until it is golden brown in colour. 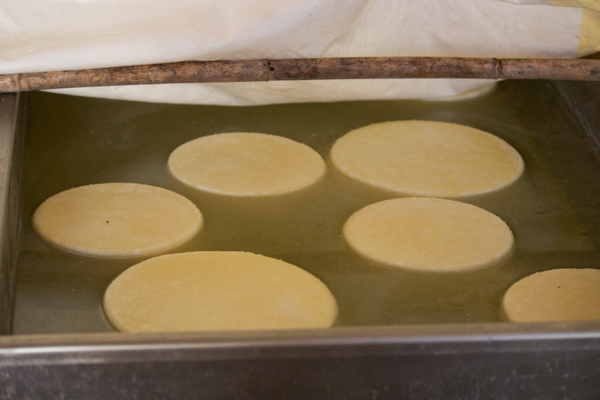 Remove the seadas from the hot oil with a slotted spoon and drain on a plate covered with kitchen paper. Serve hot, drizzled with honey.